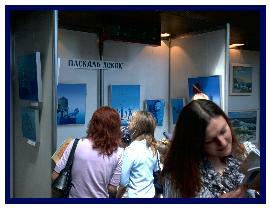 KIEV (Ukraina), ‘SILVER SHARK’ International Underwater Art Festival. 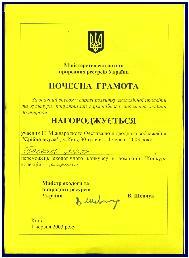 Pascal received the Diploma of Ministry of Ecology, Environmental Protection and Nuclear Safety of Ukraine for his personal contribution on the cause of rising of interest of people to underwater world and its protection, environmental protection and nuclear safety. 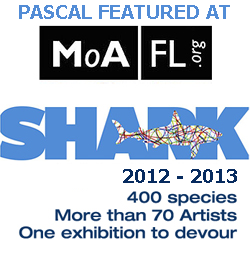 The Festival Award as the Winner in the nomination of painting has been awarded to Pascal. 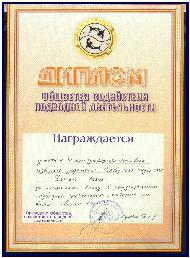 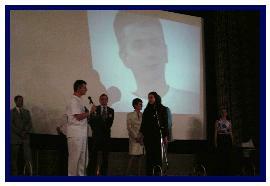 Pascal has been award too for his personal share for the purpose of diving popularization as of a kind of active and healthy lifestile and received “The book of diving” by the author Andey Utevsky . 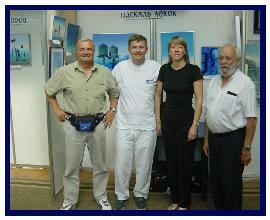 If you miss the January issue of Russian Magazine Neptun, have a look further in these news or to our press book to see 12 paintings by Pascal. 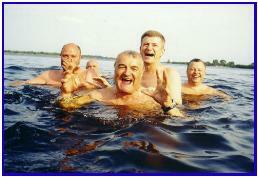 More infos about the Silver Shark Festival and diving suit sponsor Katran. 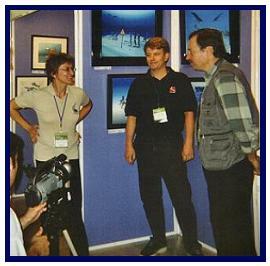 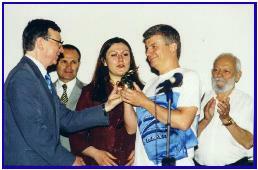 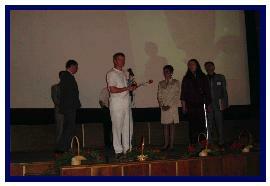 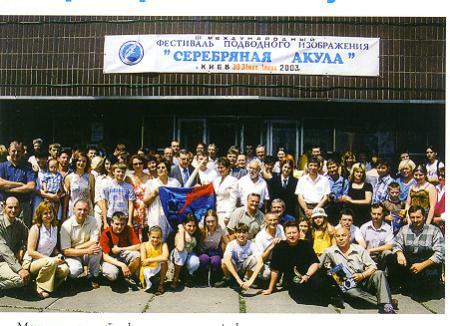 above: President Natalia Balashova invites Pascal during his exhibition in Antibes, 2002, to her Silver Shark Festival in Kiev, here with Sergey Denisov (from Yalta), CEDIP Instructor and underwater operator. 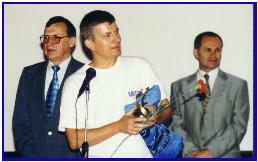 right: the Press conference at The Ukrainian Independent Information Agency (UNIAN), with Oleg Fesenko, the Director of ArtHouse Agency (on the richt hand). 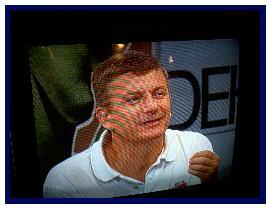 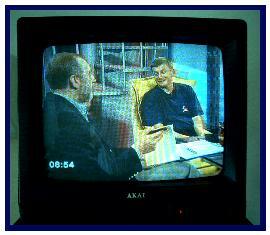 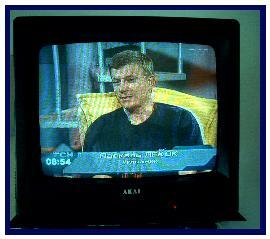 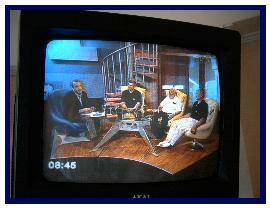 STB Channel, “Denek-Denek” Programme, with Programme presenter: Vitaly Stakh.